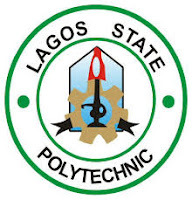 The management of Lagos State Polytechnic (LASPOTECH) has announced the Joint Matriculation Ceremony for all fresh students in the School of Part-Time Studies (Regular, Day and Evening). The matriculation ceremony has been slated for Saturday, January 13, 2018 at the School of Agriculture Auditorium, Ikorodu Campus by 10am. All matriculants are expected to be seated by 9:00am.